Indeed, salt should be considered as not just flavoring the food but a source of nutrition. Himalayan Decor International completely considers it that’s why offers healthy edible Himalayan salt to use as gourmet salt. 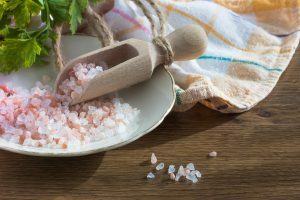 We promote the use of Himalayan salt by taking reference of the world’s famous physicians who encourage to replace regular white salt with Beneficial Himalayan Salt. Our Pakistan based company ensures the 100% purity of Himalayan salt which is been driven by Khewra Mine. As we all are aware of impurity of refined white salt which is heavily processed through heating. Notably, this processing removes the essential minerals from natural salt and makes it an imbalanced substance of sodium and chloride. Contrarily, the edible Himalayan salt is rich with 84 trace elements having a balance of sodium and potassium. This and much more benefits of pink rock salt make it better than refined salt. The pink crystalline Himalayan rock salt is been used in many forms like salt lamps or candle holders for home decor, as well as the Himalayan salt therapy products. If we talk about our edible Himalayan salt products then chunks, roughly crushed and powder forms are available. Himalayan gourmet salt is been added in cooking, sole water, bath therapy, inhalers and for other culinary purposes. The use of Himalayan salt in form of table salt not just enhances the flavor of food as compared to refined salt but also provides a number of nutrients. Moreover, using pink salt in a bathtub or in face mask exfoliates dead and tan skin. So, stay healthily and look beautiful with Himalayan pink salt. 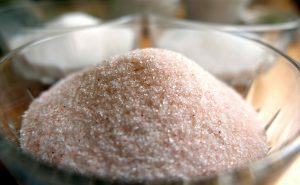 If the convincing health benefits of this pink substance have motivated you then Himalayan Decor International is among original Himalayan Salt products suppliers. Make us a call or contact online for instant home delivery. We are manufacturer, exporter and supplier of Himalayan rock salt products. As we are dealing from Pakistan which is the hub of Himalayan rock salt, we have a wide range of Himalayan salt lamps, salt candle holders, Himalayan salt tiles, Himalayan table salt and bath salt etc. © 2017 - 2019 Himalayan Decor International. All rights reserved.